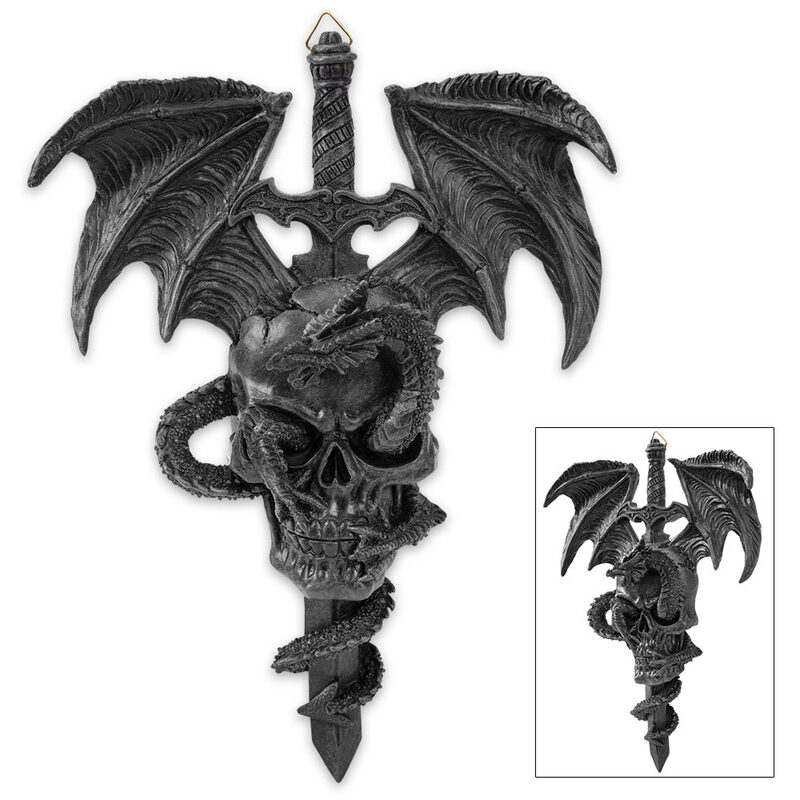 If you’re looking for something awesomely Gothic to add to your interior design, our Dragon and Skull Wall Hanging is exactly what you need! 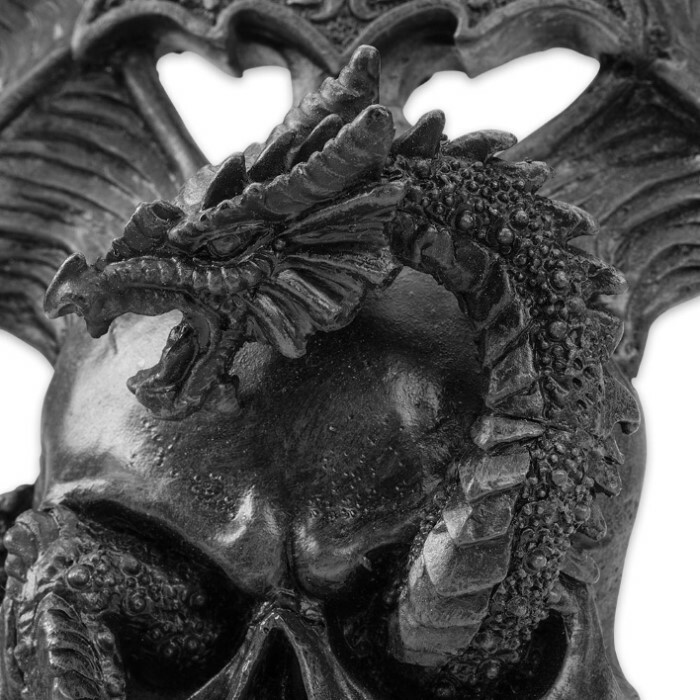 A leering skull, pierced by a broad sword, is protected by a fierce dragon with wings outspread. Expertly sculpted in high-quality black resin, this highly detailed wall hanging looks like it is a piece of fine ironwork that might have been on the wall of a Gothic castle. Fine quality and original design make our home decor collection stand above all others!